Today: What's the secret to a creamy, frothy latte that dairy-free coffee fanatics can enjoy? Homemade nut milk. Most people who are contemplating going vegan worry that they’ll miss cheese. Or yogurt. Or fish. I worried about coffee. Specifically, I worried about missing rich, frothy, piping hot lattes, and so far as I could tell, there wasn’t a perfect vegan version. This all changed when I learned how to make homemade nut milks. Commercial nut and soy milks are great, don’t get me wrong, but I think homemade nut milks beat them by a mile -- especially for recipes in which you’re really aiming for a creamy texture. I’m partial to my homemade cashew hemp milk because it doesn’t demand any straining (which some nut milks do); it’s as quick and as easy as throwing ingredients in a blender and giving them a whirl, and the results are amazingly delicious. 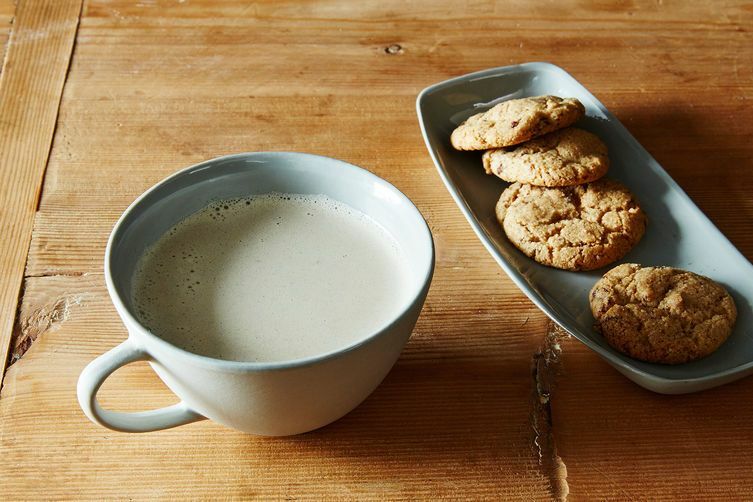 This recipe calls for a mixture of cashew milk and espresso. If you don’t have an espresso machine, you can use a 1:1 mixture of strongly brewed coffee and the cashew hemp milk instead -- you’ll still have a delicious café au lait on your hands. See the full recipe (and save and print it here). 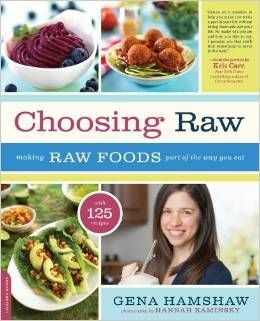 Gena's new book Choosing Raw: Making Raw Foods Part of the Way You Eat is a thorough, relatable guide to incorporating raw and vegan foods into any diet. It's full of no-fuss recipes for every meal, which range from fully raw to mostly cooked, with plenty of snacks and desserts to keep everyone happy. This looks like a lovely nut milk recipe! I love how you don't have to strain it, more fiber and less work! Definitely trying it. I was laying in bed last night thinking about how much I will miss my latte as I go dairy free for a few weeks to help with some tummy troubles my newborn is having! Can't wait to try this.